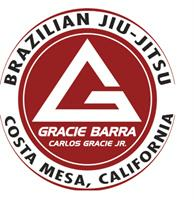 Experience first hand the benefits of Brazilian Jiu Jitsu. Learn self defense, get fit, and have fun in a clean and safe learning environment. A unique family atmosphere sets us apart from other gyms and helps create a positive experience. Get up to 25% as an OKYRIE ROYALE member! Simply enroll as a member to get up to 25% off all of our beverages and CBD Oil. Save time and money when you drink OR coffee, tea, and hot cocoa. Costa Mesa friends can get free shipping too! Glow up in time for Spring! Enjoy $5 off our new skin services in The Skin Academy: The O2 Oxyginating Facial and The Paul Mitchell Signature Face Lift by Image Skincare. Come evaluate our Natural Way method with a free demo! For a limited time, get 1 month FREE rent on a 6 month agreement and 2 months FREE rent on a 12 month agreement in April 2019.